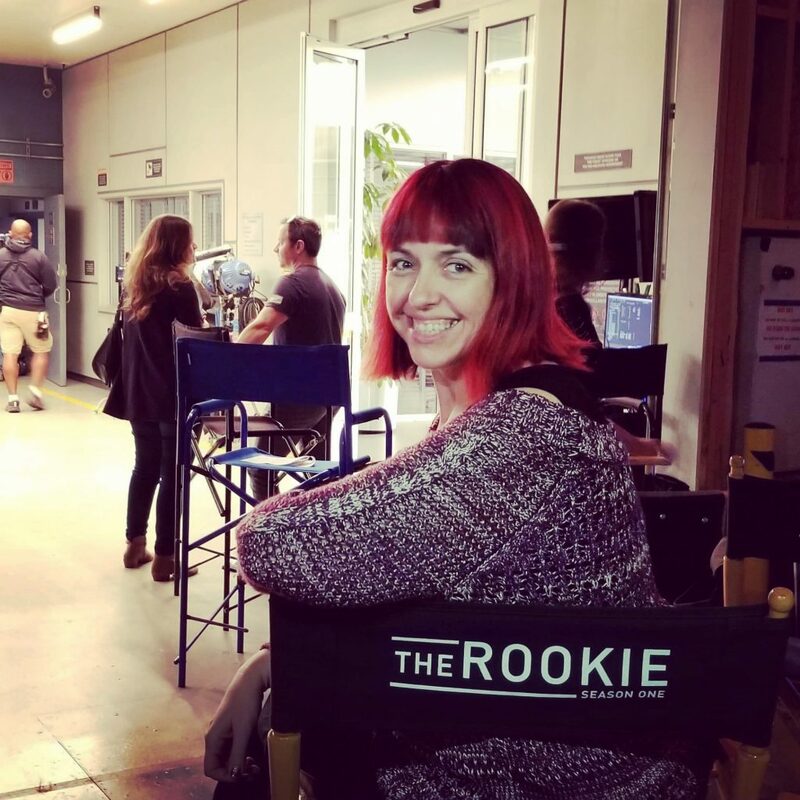 Do you want to know what it is like ON SET of ABC’s The Rookie?! Come take the set tour with me and meet the cast! The Rookie airs on ABC Tuesday 10 PM EST/9CST! Earlier this month when I was in Los Angeles for the Ralph Breaks The Internet press junket, I had the opportunity to visit the set of the new ABC show The Rookie. The Rookie stars Nathan Fillion and I will let you in on a little secret, I had never heard of Nathan Fillion before hearing of this show. Gasp! When I revealed this little secret to a few friends, they did exactly that and gave a huge GASP! When I caught up on the show before leaving for the trip and began doing my Nathan research, I understood what all the gasping was about. Nathan Fillion is an amazing actor and him along with the rest of the cast has made The Rookie one of my favorite new shows! Check out my behind the scenes visit of The Rookie! Not only did we get to visit the set of The Rookie, we received a tour of the set from no other than Mercedes Mason (who plays Zoe Andersen) herself. Talk about the best set tour visit ever, getting a tour by one of the cast members of the show! 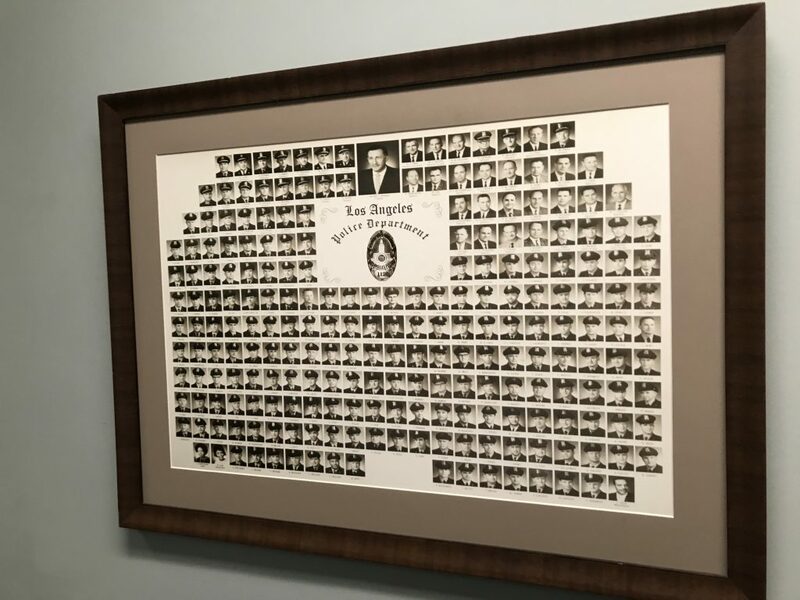 One of the things I enjoy about visiting a set of a show is the little details on set, like the above photo of the Los Angeles Police Department, which was located in a hallway of the show set. I’m not sure if this is an authentic photo or just a photo made for a prop but it sure looked real to me! When walking through the set hallway, I ran into a few cast members of the show! 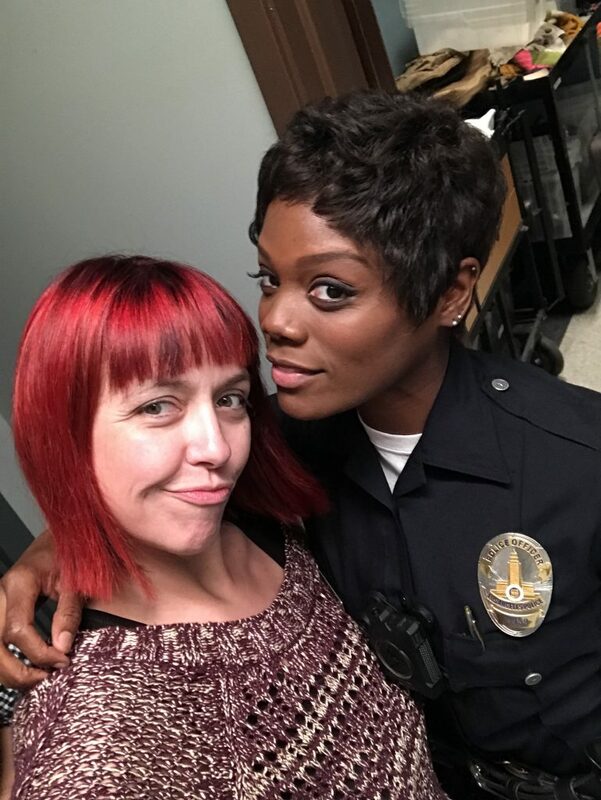 First was Afton Williamson, who plays Talia Bishop on The Rookie. Not only is Afton talented and super sweet, but girl also was on POINT with her selfies! Now I thought I was the “Selfie Queen” but Afton sure showed me up with knowing all her perfect angles and lighting. She looked just as gorgeous on camera as she does in person! Right after running into Afton, who do I see but no other than Richard T. Jones, who plays Wade Grey on the show! Richard was looking just as fine as ever and I may or may not have asked to be arrested. Our group sure did receive a pleasant surprise. 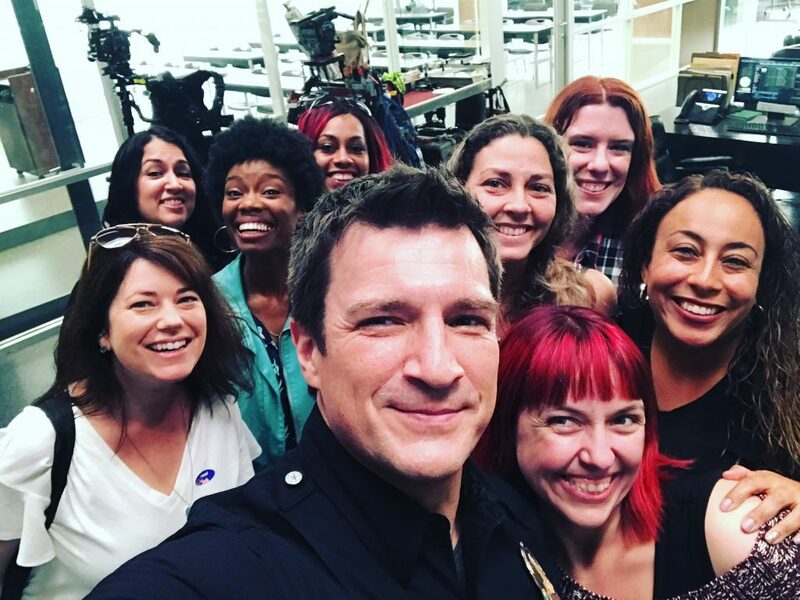 You see, before going on set of The Rookie we were told Nathan Fillion would NOT be filming on set that day. But as I rounded the corner, who do I see standing before my very own eyes? Nathan Fillion, who plays rookie cop John Nolan!!! Nathan not only grabbed my camera to take a few selfies of our group but he also talked about the area we were in and where you would see it on the show. 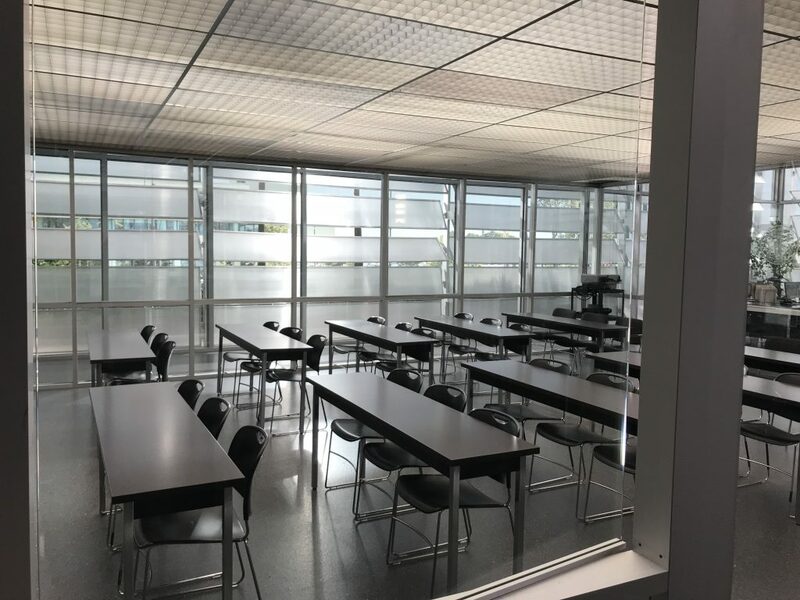 Do you recognize this briefing room? Or what about the Sergeant’s office? Little did I know my friends were in the window right behind me and don’t know how to act, when I was trying to look all cute in this photo! All in all, we had a great time visitng the set of the show and I look forward to watching it tonight. Be sure to join me LIVE on Twitter tonight as I live tweet the episode with everyone!! 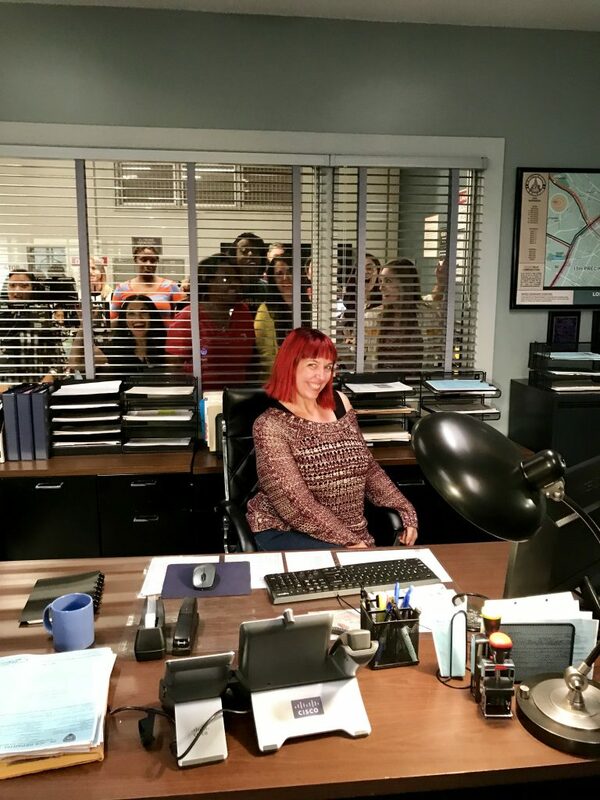 Remember to use the hashtags: #TheRookie & #ABCTVEvent! “The Hawke” – Nolan and the team must help capture a cop and his former mentor from the academy after he becomes a fugitive following an assault. 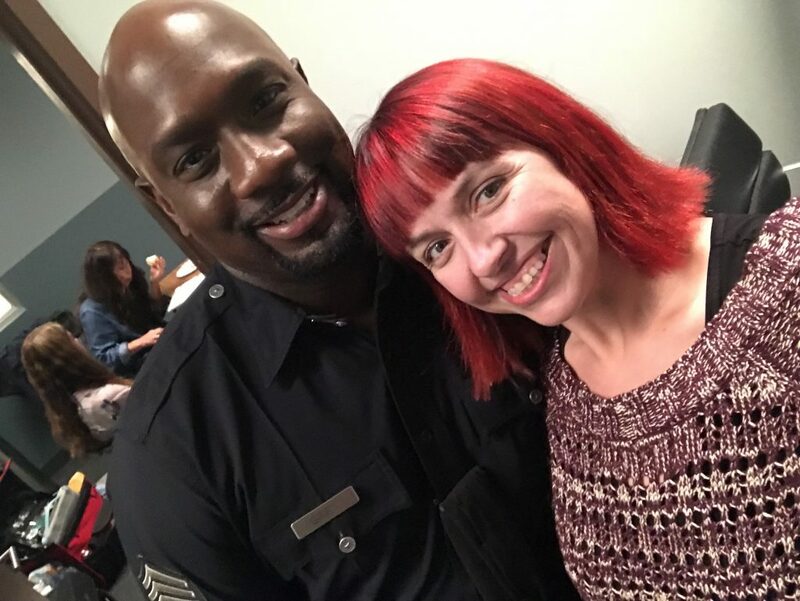 Meanwhile, Officer Tim Bradford needs Officer Lucy Chen to learn to predict the moves of criminals in order to capture them, on “The Rookie,” airing TUESDAY, NOV. 27 (10:00-11:00 p.m. EST), on The ABC Television Network, streaming and on demand. Guest starring is Danny Nucci as Detective Sanford Motta, Ryan Michelle Bathe as Detective Jennifer Paige and Shawn Christian as Jeremy Hawke. “The Hawke” was written by Fredrick Kotto and directed by Timothy Busfield. 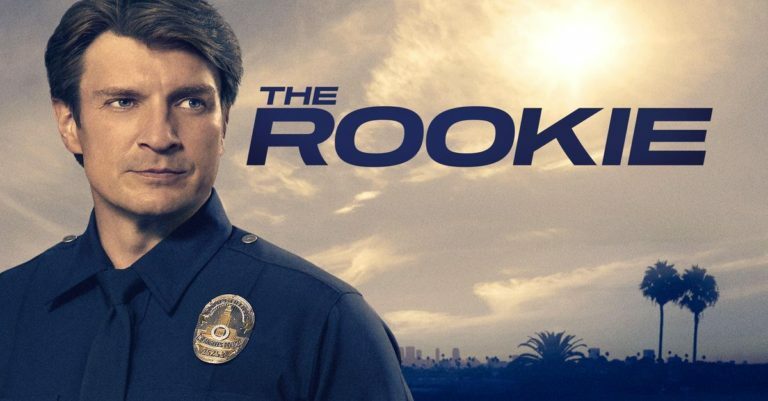 Watch The Rookie Tuesdays at 10|9c on The ABC Television Network or streaming or on demand!